Pump up your tires and head for the single track with the Raptor 14. 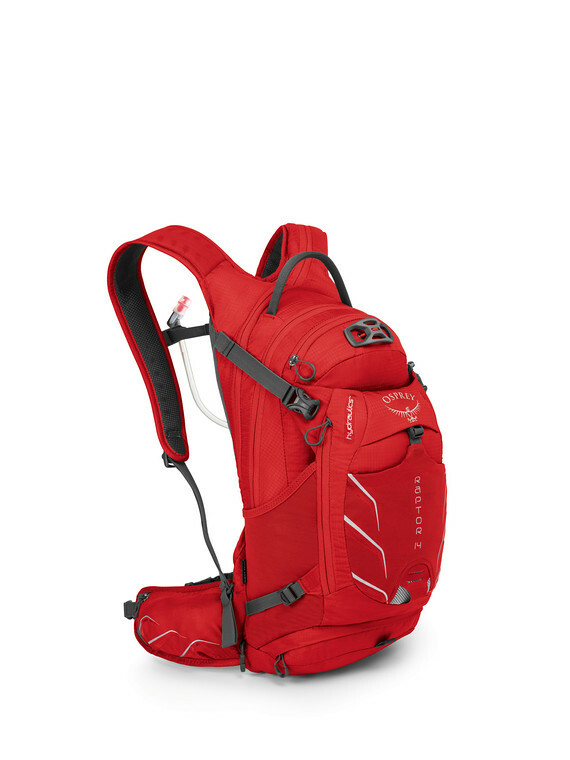 The trail may be rough but your pack will carry close thanks to Osprey’s BioStretch™ harness and hipbelt that comfortably connect the pack to your body. The 3.0 Liter Hydraulics™ Reservoir reduces liquid movement for increased pack stability at high speed. The hydration sleeve is zippered for convenient refills and the hose routes over the right shoulder strap to the sternum strap where it anchors with a magnetic disk for on-the-fly access to the bite valve.